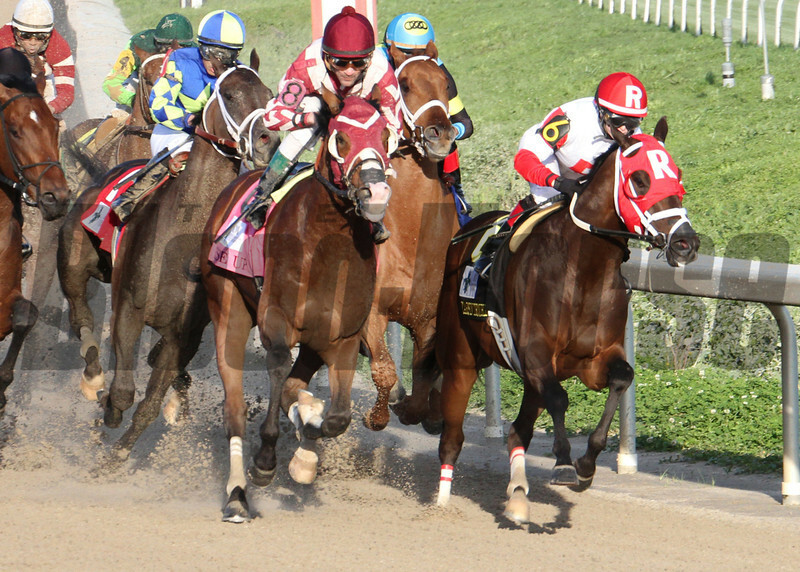 Rosie Napravnik aboard Vicar's In Trouble, right, heads into the backstretch at the Fair Grounds in New Orleans, LA to go on and win the Louisiana Derby (GrII) Saturday, March 29, 2014. Owned by Kenneth and Sarah Ramsey and trained Mike Maker, the 3-year old colt ran the 1 1/8 miles in 1:50.77. Intense Holiday finished 2nd and Commanding Curve was 3rd. The value of the race was $1,000,000.